finding a line. skater in thrasher magazine t-shirt. As dusk settles in the lights come on and the action continues. 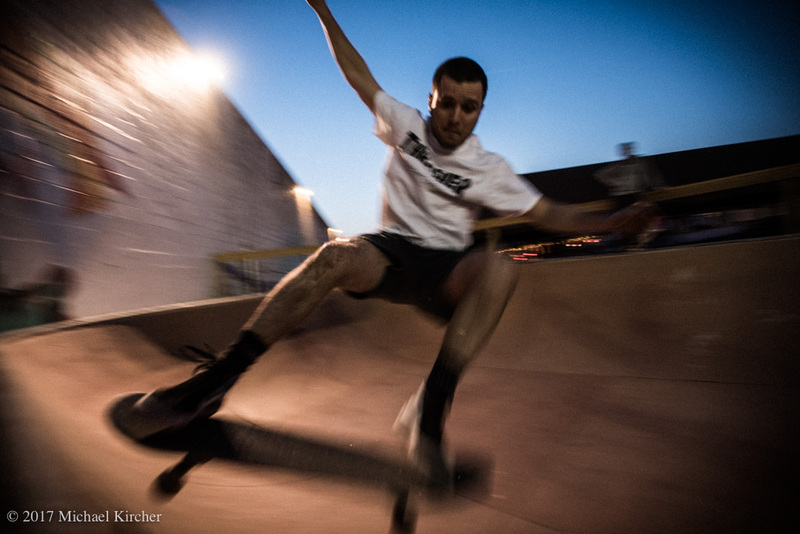 Skater in thrasher magazine t-shirt skates despite the changing light at dusk.